A routine part of SERVPRO® of Carrollton's service is inspecting the heating, ventilation and air conditioning unit (HVAC). Keeping the HVAC and ductwork clean can potentially extend the life-span of the equipment by allowing it to operate at peak condition, which may help save you money. Duct cleaning may not always be necessary. SERVPRO® of Carrollton will inspect your HVAC system and ductwork and make recommendations about the best way to address any indoor air quality concerns. This inspection can help save you money and provide peace of mind on the health of your HVAC system and ductwork. In some circumstances, such as after a fire, smoke or suspected mold growth, duct cleaning becomes an essential part of the cleanup process. In these cases, SERVPRO® of Carrollton can often restore the HVAC system and ductwork to pre-damage condition. The SERVPRO® Duct Cleaning System is proven and cost-efficient. 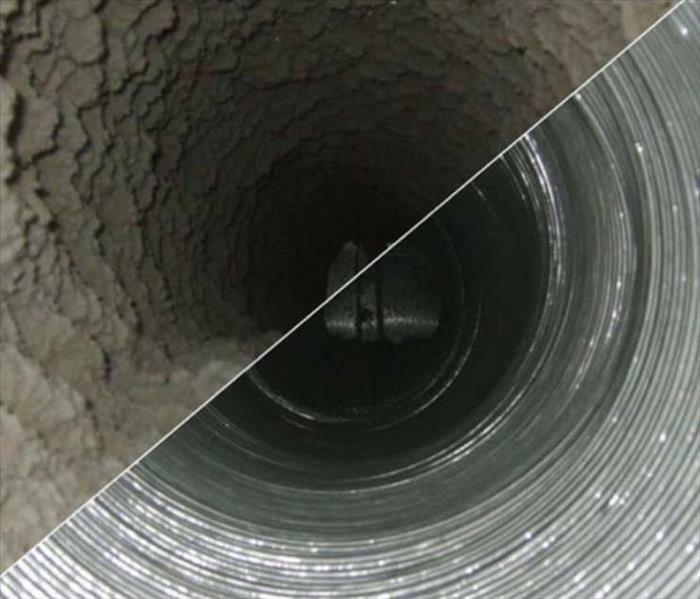 Unlike the majority of duct cleaning services, SERVPRO® of Carrollton uses a portable ventilation and air duct cleaning system to examine ductwork and make a clean sweep, removing years of dust and grime. 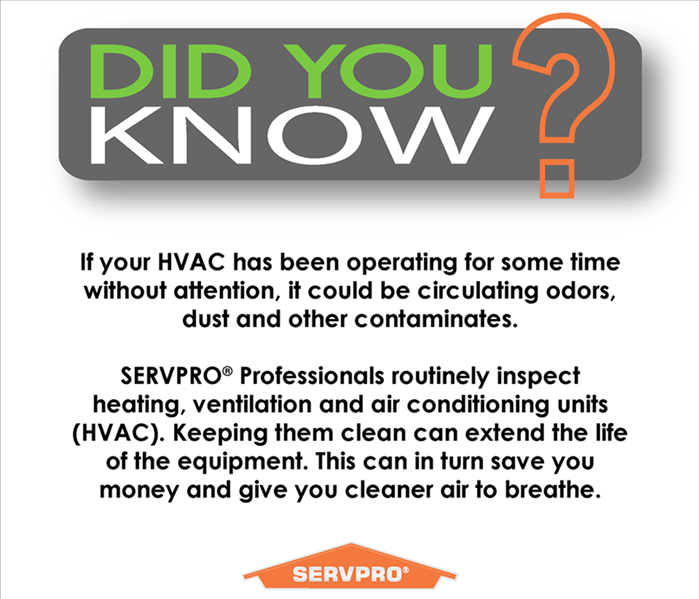 For more information on duct cleaning, or to schedule an appointment, contact SERVPRO® of Carrollton today. With technicians certified by the Institute of Inspection, Cleaning and Restoration (IICRC), SERVPRO® of Carrollton professionals provide specialized services that can rid your home or business of offensive odors left by fire or smoke damage. SERVPRO® of Carrollton professionals do not cover up lingering odors with a fragrance; they seek out and remove the source of the odor. Once the source is found, SERVPRO’s own proprietary line of cleaning products is used to treat and prevent the odor from returning. Any restorable item in affected areas will also be professionally cleaned and deodorized, including furniture, draperies and upholstery, electronics, art, flooring, walls, ceilings, HVAC air ducts and more. Ask SERVPRO® of Carrollton to explain the various deodorization methods available and which will work best for you. 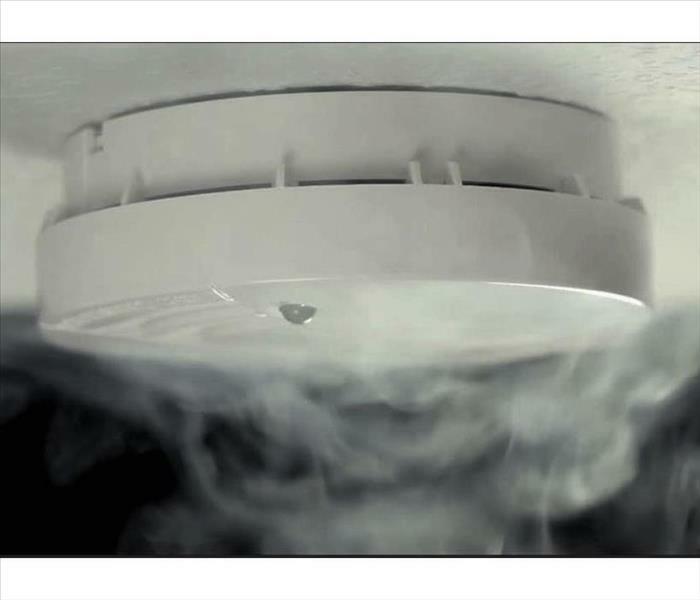 To reduce the risk of these fires happening in your or your insured’s home or business, SERVPRO® of Carrollton can help clean dryer vents and ducts that may have lint buildup. 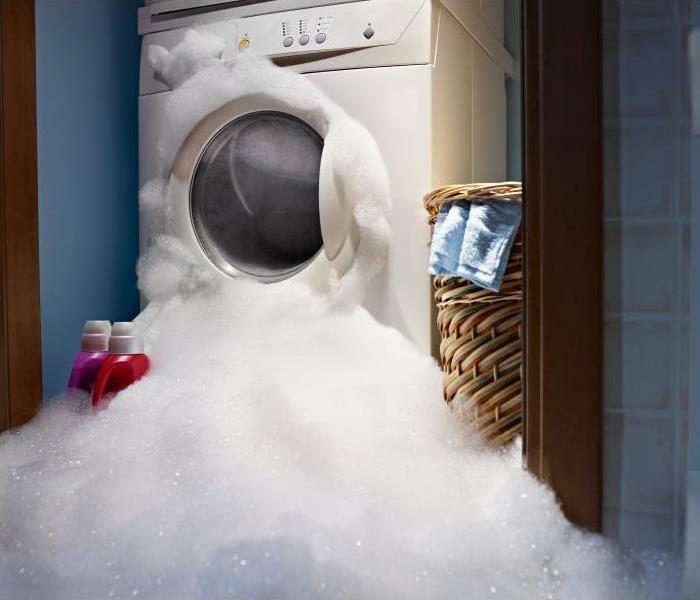 For more information on proper cleaning dryer vents contact SERVPRO® of Carrollton at (770) 258-7557. 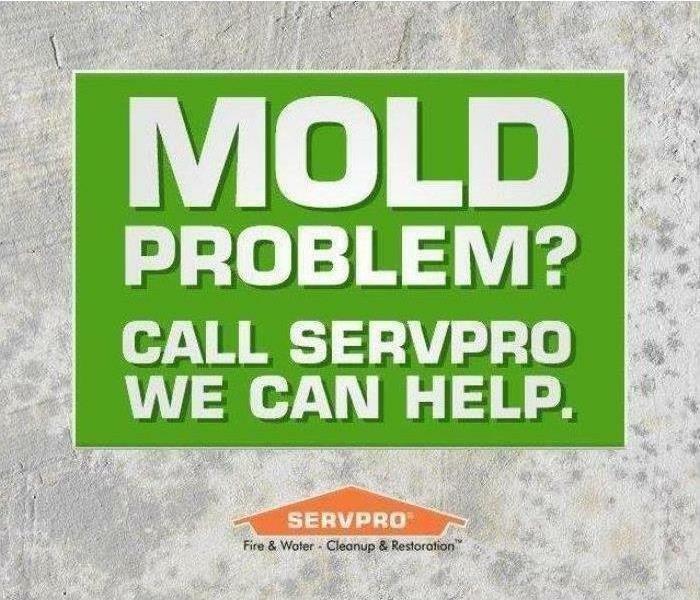 SERVPRO of Carrollton specializes in mold cleanup and restoration, in fact, it’s a cornerstone of our business. Our crews are highly trained restoration professionals that use specialized equipment and techniques to properly remediate your mold problem quickly and safely. 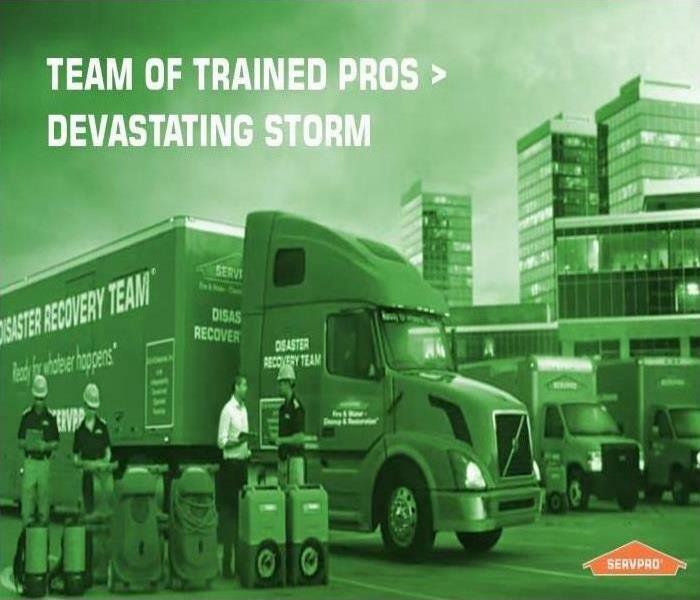 SERVPRO of Carrollton specializes in storm and flood damage restoration. Our crews are highly trained and we use specialized equipment to restore your property to its pre-storm condition. When storms hit Carrollton, we can scale our resources to handle a large storm or flooding disaster. We can access equipment and personnel from a network of 1,650 Franchises across the country and elite Disaster Recovery Teams that are strategically located throughout the United States. 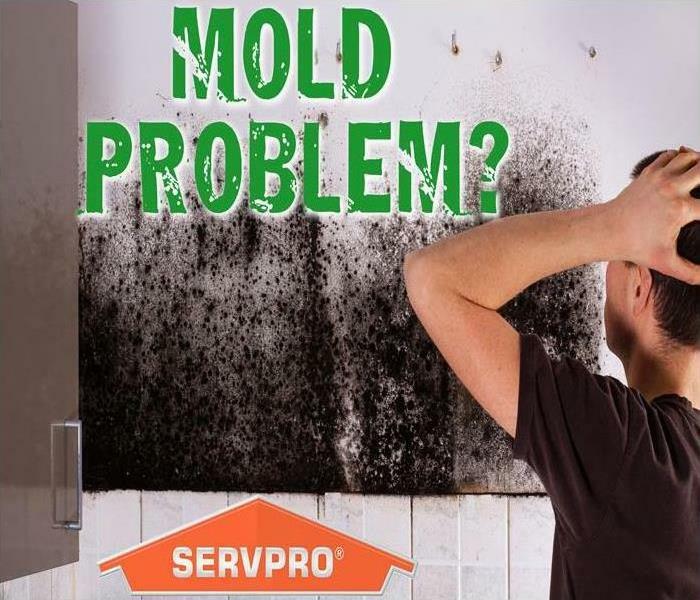 If you suspect mold in your home, call SERVPRO of Carrollton to assess the situation. 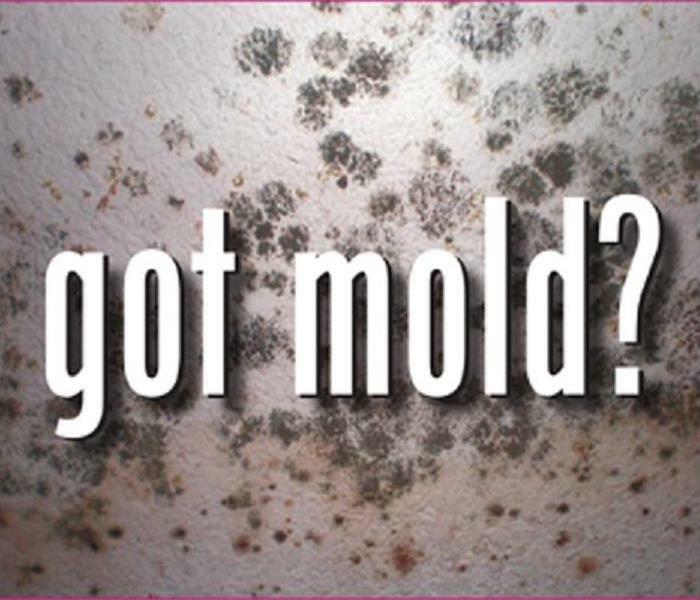 We have the knowledge, tools and track record to effectively remediate mold in your home or business. Many commercial business owners in the greater Carrollton area know that moisture is often the enemy especially when it can shut your business down. With an average of 50% of businesses not reopening following a major disaster, SERVPRO of Carrollton can help make sure your business isn't one of them. 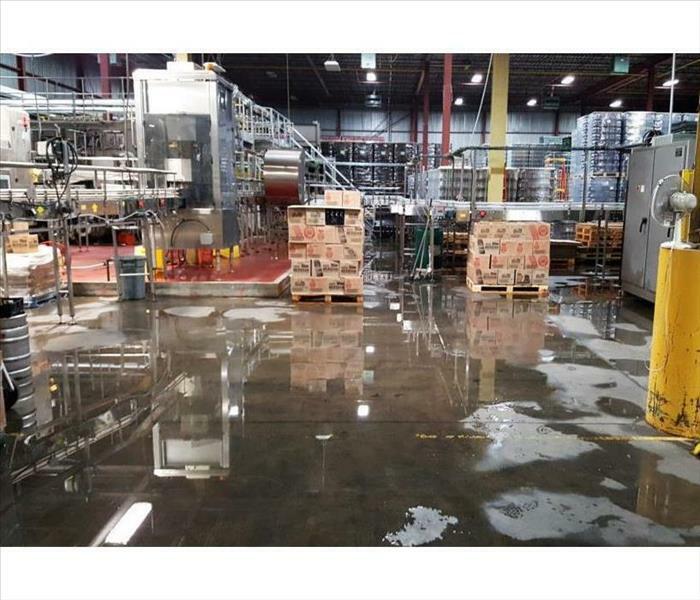 SERVPRO of Carrollton is your local professional for all your commercial water damage needs. Call us today – 770-258-7557. 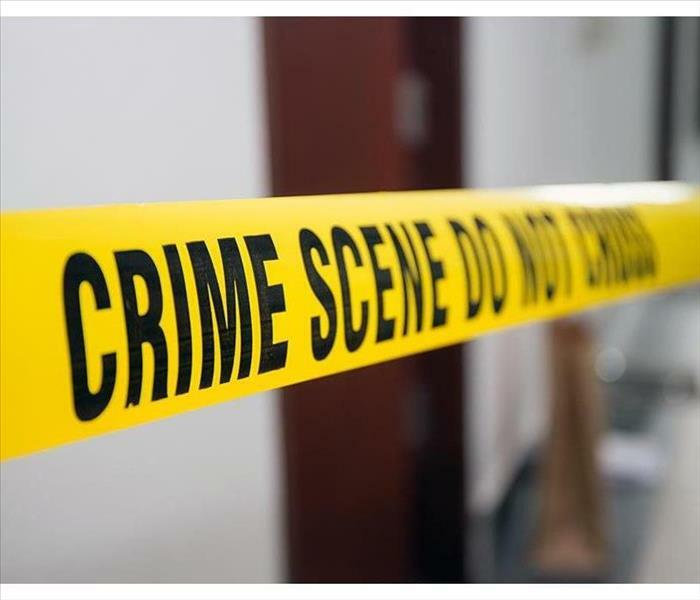 3/31/2019 - Does Your Home Have a Mold Problem?